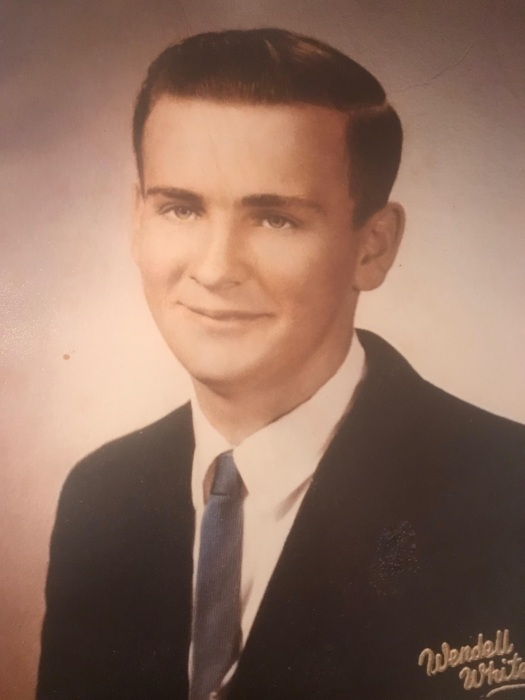 Donald Andrew Dehetre, 70, of Gray passed suddenly on September 14, 2018. He was born October 2, 1947 son of the late Irene Bradford and Marcellin Dehetre. He attended schools in Falmouth, Maine and graduated in 1966. After graduating he joined the Army and served as Sergeant in the 4th Infantry Division from (1968-1970). He was awarded the Bronze star for his heroic achievement in combat in Vietnam. After discharge he worked for J.J Nissen for over 15 years. He married Laila (Aho) in October 1971. Together they had two sons, Donald II and Michael. They settled in Gray, Maine in 1980 until Laila’s passing in 1999. He was an avid hunter and fisherman and enjoyed bowling, golf and spending time with his family. Many who knew Don remember him from his time spent volunteering for various community organizations especially with youth sports and veterans affairs. He was often found coaching, running score boards, and clocks at any school sponsored sporting event. Don was passionate about helping fellow veterans who had returned from combat. In 2005, Don re-married Julie (Lovejoy) Dehetre and gained an additional son, Matthew Harrington. Don and Julie enjoyed spending time with their friends from the Forever Young Seniors Bowling League and bus trips together to various cities across the U.S.
Don was predeceased by his wife Laila, brothers Roger Dehetre and Henry Bendixon, and granddaughter, Maia Dehetre. He is survived by his wife, Julie; sons Donald Dehetre II and wife Trina of Windham; Michael Dehetre and wife Karen of Gray; Matthew Harrington of Sanford; step-daughter, Heather Lamb and husband Ralph of Poland; brother Richard Bendixon of Gray. He is also survived by eight grandchildren; Emilee, AJ, Colby, Camryn, Austin, Isaac, Riley and Jaydan. A graveside service will be held at Gray Village Cemetery on Thursday, September 20th at 11:00am. In Lieu of flowers, Donations can be made to the Ronald McDonald House of Portland, 250 Brackett Street, Portland, ME 04102 or Androscoggin Home Healthcare and Hospice, 15 Strawberry Ave, Lewiston, ME 04240.